More than 3,000 refugees — or New Americans — have arrived in Atlanta since 2015. They are escaping conflict and crisis, and their families and communities need education and economic opportunity to survive, recover, and build new lives in this country. The New American Hotel and Restaurant empowers these new immigrants while creating exciting intercultural connections within the Atlanta community. 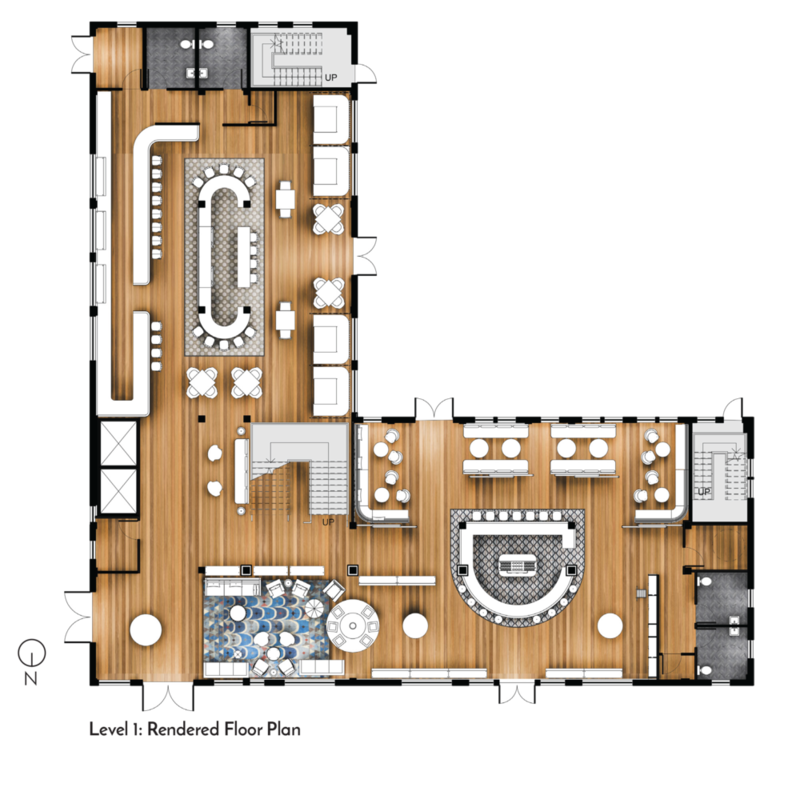 I designed this 10,500-square-foot hospitality space for my Interior Design Capstone project at SCAD. The project provides employment opportunities to New Americans, seeks to educate the general public and counter the negative narrative surrounding refugees, and reinvests profits to appeal to a new class of socially conscious investors. The project won an ASID Design Excellence Award and a Design Scholar Award from the Design Futures Council. View the detailed process book I created for the project: Part 1 and Part 2. The intensive project included an original video; precedent analyses; site analyses and maps; research and diagrams detailing building codes, zoning, ADA accessibility, and sustainability; floor plans, sections, elevations, and renderings; and material selection.